How hot does the outside of the vent pipe get when the fireplace is on? Are there clearances? The pipe doesn't have a specific temperature for the outside when in operation, but requires a 1" clearance from any combustible to the pipe. 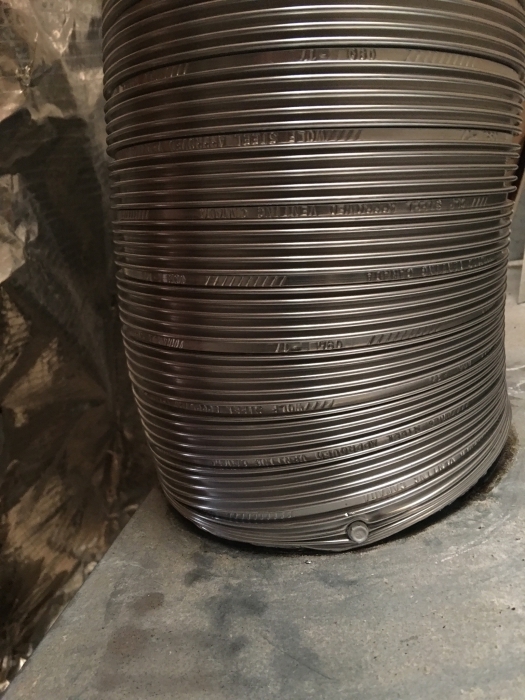 How much clearance to combustibles is required for this direct vent liner kit? 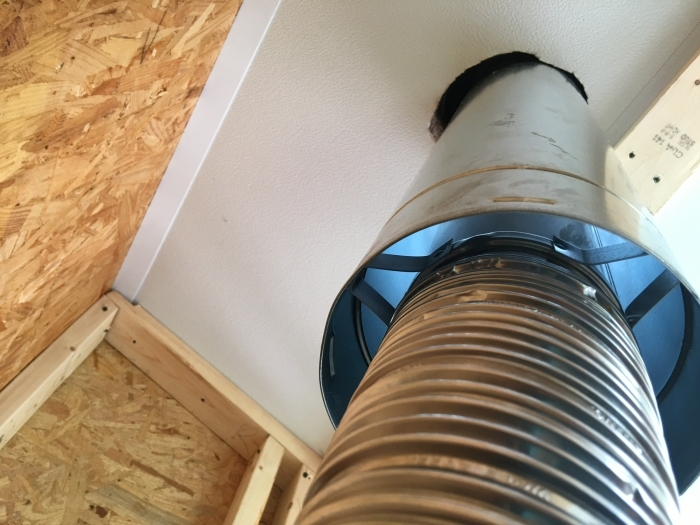 This vent kit requires 2" of clearance from the top of the pipe and 1" of clearance from the sides and bottom of the pipe. Is there a special connector to join or more sections together? If not, how do I connect the pieces to reach farther? A coupler kit is needed to connect lengths of the Napoleon flexible venting. The correct product to use for this size of Napoleon venting is the Napoleon 4/7 Direct Vent Pipe Coupler Kit. Self tapping metal screws should be used to secure the couplings at each juncture. 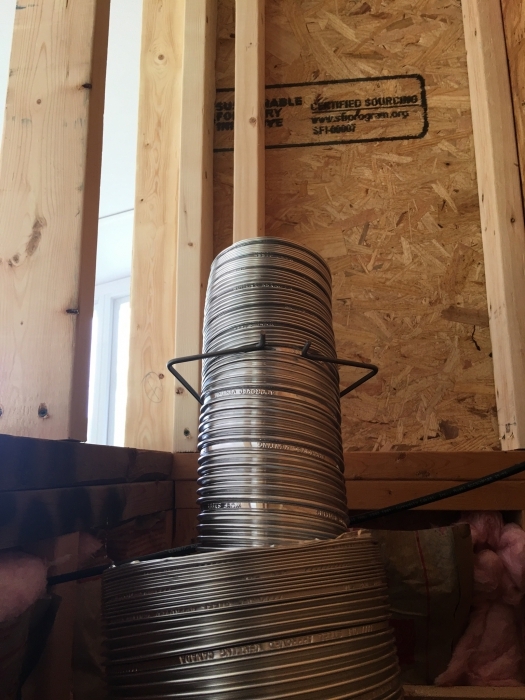 Can this aluminum vent liner be cut if I need a 4 foot piece? Yes, this flexible liner can be cut to the length you need. Are there any spacers in this to keep the pipes from touching on another when the are installed? Indeed, these flex pipes feature spacers located at about 8" intervals. They are basically miniature coil springs that keep the pipes from compressing onto one another. Easy to install, great quality and flexibility. Better than expected.